LOCATION! 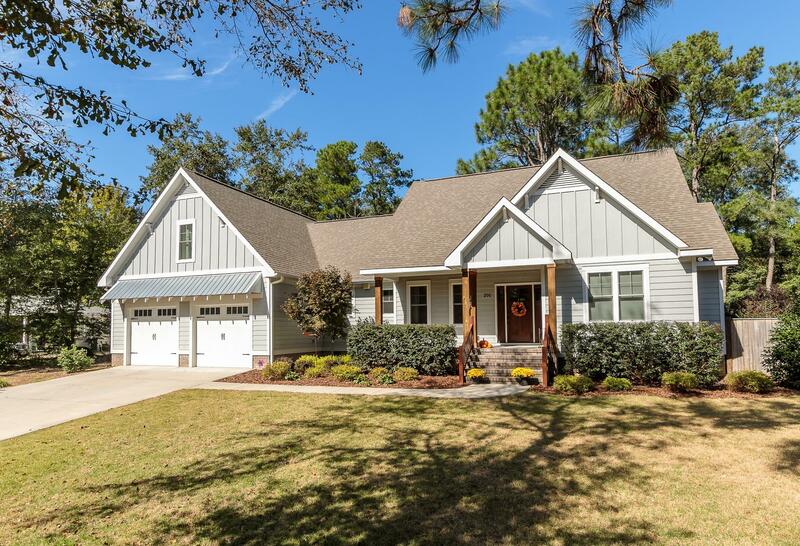 Just a few minutes walking distance to downtown Southern Pines, this gorgeous 4 bedroom, 3.5 bathroom home is filled with southern charm. Gorgeous finishes throughout. Hardwoods, granite countertops, soft close upgraded cabinets, vaulted ceilings in family room and master suite. Split bedroom floor plan with 2 bedrooms connected by a Jack and Jill bathroom. The second floor offers a grandparents suite. A screened porch sits off the main living area. Backyard is fully fenced with a 6ft privacy fence. Separately fenced dog area on the side of the house connects to garage with doggy door. Planters and lawn fully irrigated. Other upgrades include tankless water heater, home fully wired for Iris home security system, as well as a having a good home energy rating!